Information on registration, site rules and TUTORIALS on posting. Please read disclaimer before using site. Thank you! Introduce yourself, your family, and/or your RV to the group. Pets are always welcome too! This is the place to discuss everything to do with RV's. Tell us about your classic RV, discuss RV related topics, ask questions. Last Post: "unknown" for now, RV restoration. "unknown" for now, RV restoration. Vintage and Retro towables. Very cool!! Are you considering purchasing an RV? Want to discuss what to look for? Have advice to share? This is the place! Last Post: Weight of camping equip. ? Weight of camping equip. ? Share your RV travels and adventures! This is a great place for a travel log. Update as you go or give us the story when you get home. This is the place to talk about accessories like grills, gas fire pits, chairs, lights, cooking utensils, etc, etc. Discussion of transporting, carrying, and storing of guns and ammo while traveling. Questions about towing your classic RV, towing with your RV, or using hitch devices to haul cargo, motorcycles, bikes, etc. Post the URL's of RV related photo galleries. Questions or advice related to living full time in your RV. Discussion of health care, finances, workcamping, storage, etc.. Questions and discussion of Chassis and associated systems. Questions and discussion of electrical and communications equipment issues & upgrades. Questions and discussion of exterior maintenance, cleaning, upgrades, etc. Questions and discussions about interior appliances, systems, furniture, flooring, etc. Library of manuals for motorhomes and travel trailers. Discussion and reviews of GPS, Radar Detectors, Mobile Apps, etc. 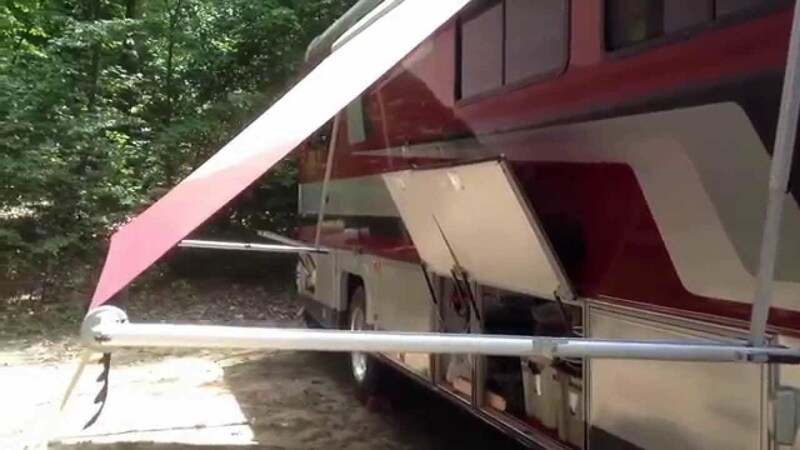 Last Post: Wazing in an RV - Is that legal? Lol! Wazing in an RV - Is that legal? Lol! Last Post: Fabric softener sheets to keep rodents away. Fabric softener sheets to keep rodents away. Questions and discussion of tire care, sizing, problems, reviews, etc. Learn something the hard way or found a better way? Found or made a cool gadget for your RV? Not sure what category your idea fits into? Please share it here. This is the place to discuss everything to do with ORV's and Off-Roading. Tell us about your ORV, discuss ORV related topics, ask questions. Place to list and discuss off-roading events, races, trips, etc. The place to discuss classic Ford Broncos. The place to discuss Dune Buggies. The place to discuss classic Jeeps (other than Wagoneers). Place to discuss and show off the mighty Jeep Wagoneer. The place to discuss classic muscle cars. The place to discuss classic trucks. The place to discuss classic boats. The place to discuss classic motorcycles. The Classic RV Network Camp Store has all kinds of RV and Camping parts, accessories, tools, supplies, and equipment. This is for private ads only, no commercial advertisements. For RV'ers looking for a job or looking to hire other RV'ers. Let's help each other out whenever possible. This is the place for off topic discussion. Links to sites that members might find useful and or entertaining. There are currently 161 users online. 0 members and 161 guests. Most users ever online was 970 at 04:43 AM on 10-05-2018.